Leading evangelist Franklin Graham has called the Oscar-winning film "Moonlight" an example of how the LGBT agenda is trying to make "sin more culturally acceptable." Graham, the 64-year-old outspoken conservative Christian and son of legendary evangelist Billy Graham, took to his Facebook page on Tuesday to comment on the fact that the Oscar for "Best Picture" went to a movie about the coming of age of a gay African-American man. "This weekend's #Oscars had a big mix-up that we keep hearing about in the media, and some are even speculating that it may have been just a PR stunt. I don't know about that, but either way, many who had never heard of the film 'Moonlight,' which received best picture, have heard of it now," Graham, the president of the Billy Graham Evangelistic Association, wrote. "From the reviews I have read, 'Moonlight' portrays a young gay African-American coming of age and it stereotypes him as violent, a drug dealer, and a convict. Hollywood is notorious for glorifying sin." "This is just another example of the LGBT's agenda to make lifestyle choices that God defines as sin seem more and more culturally acceptable," he continued. "I warn families and the Church — don't allow your young people to be sucked into Hollywood's dark plan." Graham concluded by asserting that even though Christians "love all people," they "have to be honest about sin's consequences." "Sin is sin — it doesn't matter if it gets an Oscar or not," he said. In addition to winning best picture, "Moonlight" took home other awards as well. Mahershala Ali won the award for best supporting actor, which marks the first time a Muslim actor has won an Oscar in the history of the Academy Awards. Additionally, "Moonlight" won the Oscar for best writing adapted screenplay. "Moonlight" was also nominated for best film editing, best cinematography, best original music score, best director and best supporting actress. 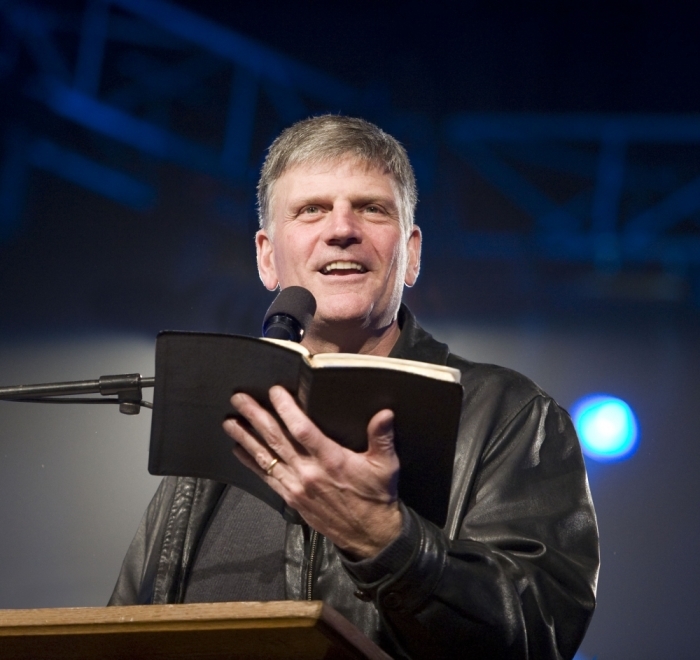 Graham is not the only conservative Christian leader to comment on the Oscars. Evangelist Greg Laurie, the senior pastor at Harvest Christian Fellowship in Riverside, California, wrote an op-ed for The Christian Post in which he said that actor Andrew Garfield, who played the lead role in the Mel Gibson-directed Christian-themed movie "Hacksaw Ridge," should have won "Best Actor." Laurie also issued his thoughts on Sunday's debacle in which "La La Land" was accidentally announced as the "Best Picture" even though "Moonlight" had really won. "I think that there will be a lot of surprises when we get to Heaven too," Laurie wrote. "Some of the people you thought would be there won't be. Some of the people you never thought would be there will be. And the biggest surprise of all: we ourselves will be there!" "The fact of the matter is I fully expect to get to Heaven — not because I deserve it, but because Jesus paid the price for my admission on the cross of Calvary," he added. "By the way, there will be an 'awards ceremony' of sorts in Heaven too. It's called the Judgment Seat of Christ."